It’s the second challenge of the day at Hiding in my Craft Room, in celebration of our Blogiversary. The challeng is “Keep it Simple Sweetie!” (KISS). This just basically means to keep your project nice and simple or clean styled. 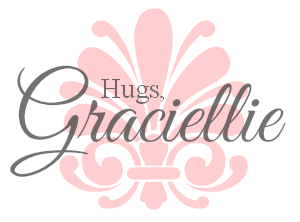 $20 Gift Certificate to the store! Of course I had the chance to try out some amazing metallic papers from Paper Temptress and what a priviledge really! The textures, the shimmer, the weight of the sheets… Just a delight to work with! For this card I dried emboss a layer of Lagoon Mica Metallic cardstock (I love this color! ), using the faux letterpress techique with Brilliance pigment ink in Pearlescent beige. The effect is really subtle but it does give the debossing a deeper shadow that you can’t tell right away. I went for the true CAS style and die cut a circle from Silver Mica Metallic cardstock with the largest of Spellbinders Classic Circle Small. 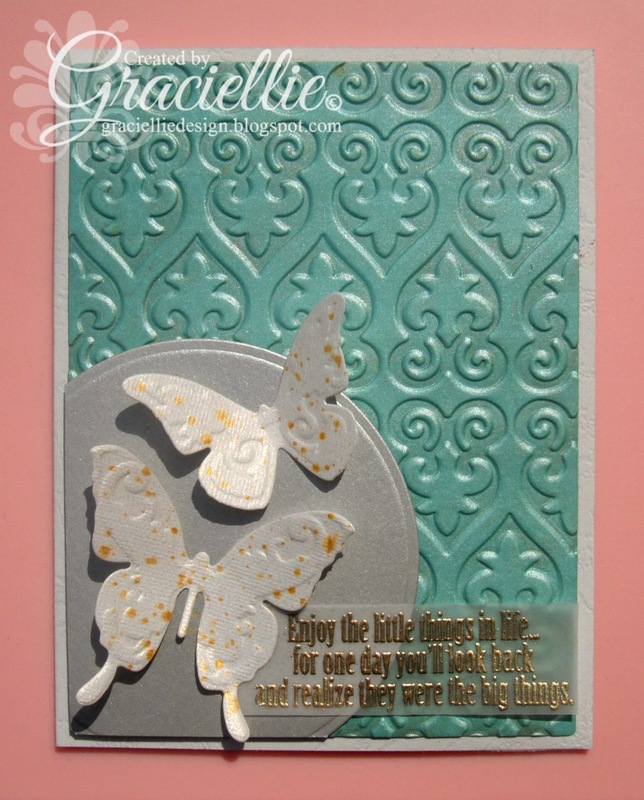 I also die cut butterflies from Spellbinders Butterflies Two from Candido Incandescent Metallic cardstock. I then splattered some Inka-Gold (in yellow gold) water to the butterflies by tapping a brush. 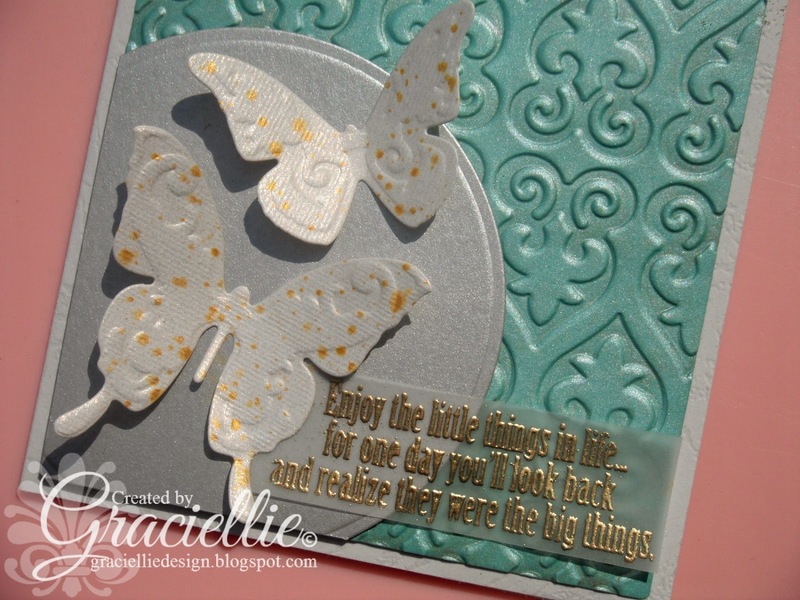 And finally I heat embossed sentiment from Gina K. Designs’ Little things stamp set on Vellum. All was adhered to a Leather Textured cardstock card base. This will be my last project for the day but please keep vising Hiding in my Craft Room and my teammates’ blogs to learn about the remainding challenges and see all what has been created for your inspiration. Congratulations Laurie on your blog anniversary! I wish you many more! I especially like the heat embossed sentiment. The HIMCR #3 & #2 challenges indicate they do not start until 8/16 which is really the end date & there's no linky for them. Thanks for stopping by! Yes, there might be some technical issues. I will let Laurie know about this. Thanks for pointing that out. Beautiful simple card. Nicely embossed sentiment! Thank you! I like to make some cleaner cards on weekends! I started like a clean and layered cardmaker, so it's always nice to go back and do some CAS cards for fun! Gorgeous colors … love the embossed background. And the butterflies are so pretty splattered with gold. Thanks for joining us at ATCAS. Wow that background is gorgeous. Thank you for joining us over at CAS on sunday. Lovely colours and embossing. Thanks for joining us at ATCAS.